Format: 34 x 30 cm. 310 pages. 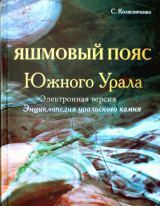 Published by Sanarka (Chelyabinsk, Russia) in 2007. Popular science encyclopedia of the Southern Ural jasper localities represents most important of them. It includes many photos and information on history of mining and processing of jasper famous jasper deposits of Bashkiria and the Chelyabinsk region. One chapter shows treasures of stone-cutting carvings of the 18th-19th centuries from collection of the State Hermitage Museum. The last chapter is devoted to the present day. 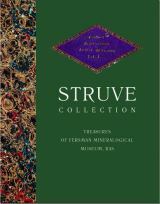 The book is first publication of the Album of Drawings of the famous mineral collection which had been built by an outstanding Russian Diplomat Heinrich Christopher Gottfried von Struve (1772–1851). It contain only a small part of the collection drawings but lucky original specimens survive over centuries too and they are presented in the book together with drawings. The readers will find here a really exciting story of Heinrich von Struve life and his mineral collection (including archive documents). 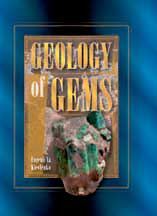 The book contains detailed and comprehensive information about gem localities over the world, and their geological setting. The book is full of geological illustrations, which make the text easily understandable. In addition we included 136 color photographs of all the main gems, mentioned in the book, taken by the best mineral photographers of the world. The data is of great value both for collectors and professionals. 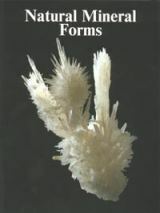 Though not a textbook it will undoubtedly be useful for professors at Universities and Geological and Mining Schools.